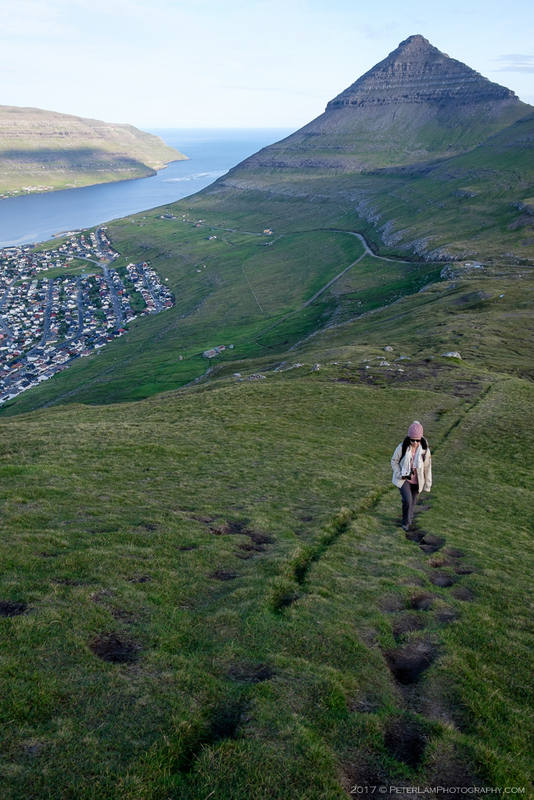 A short hike up the surrounding hills offers a great view of Klaksvík town and the neighbouring islands. 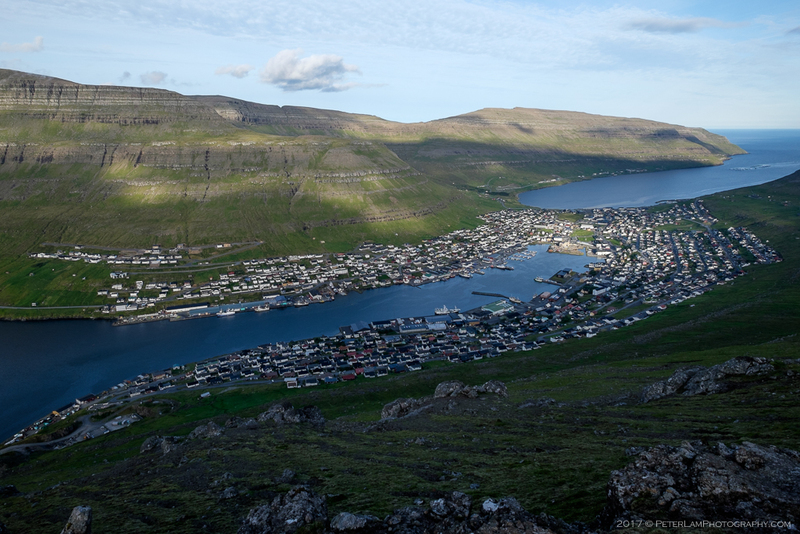 After our relaxing city tour, we headed up to Klakkur mountain, a relatively easy climb – especially after the previous evening’s challenging trek. 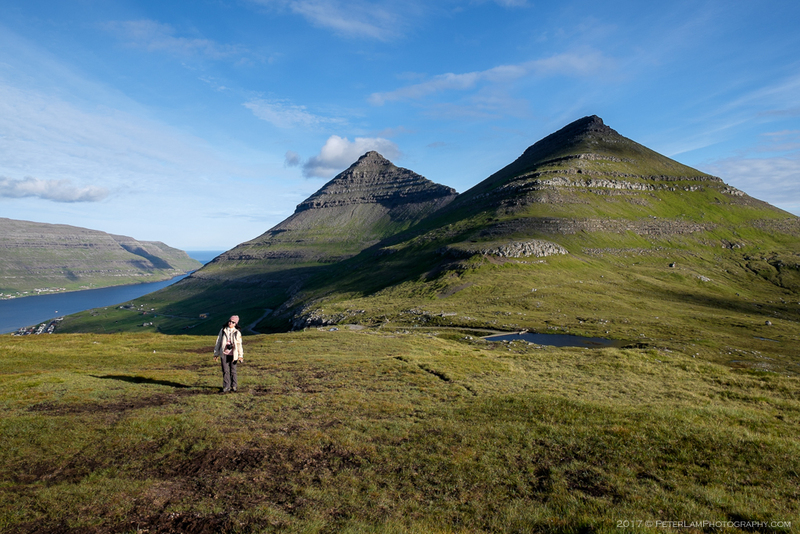 Judging by the number of locals on the trail, this is probably one of Klaksvík’s favourite walks. We were also blessed with great weather, a welcome change from the day before. 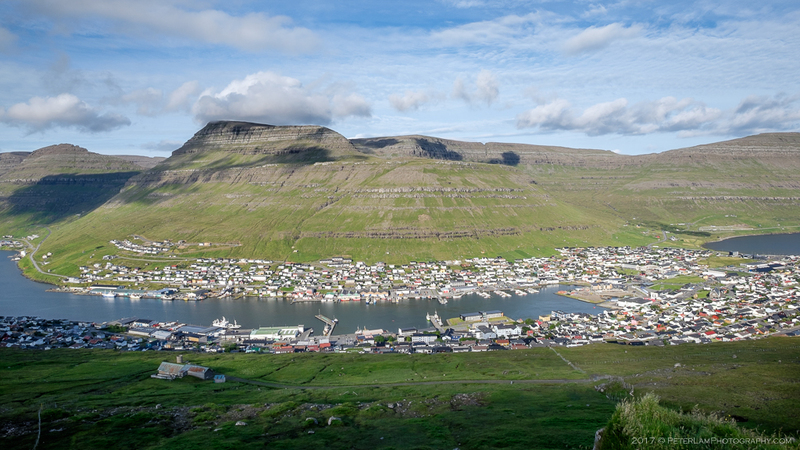 Klaksvík, the second largest town in the Faroe Islands. 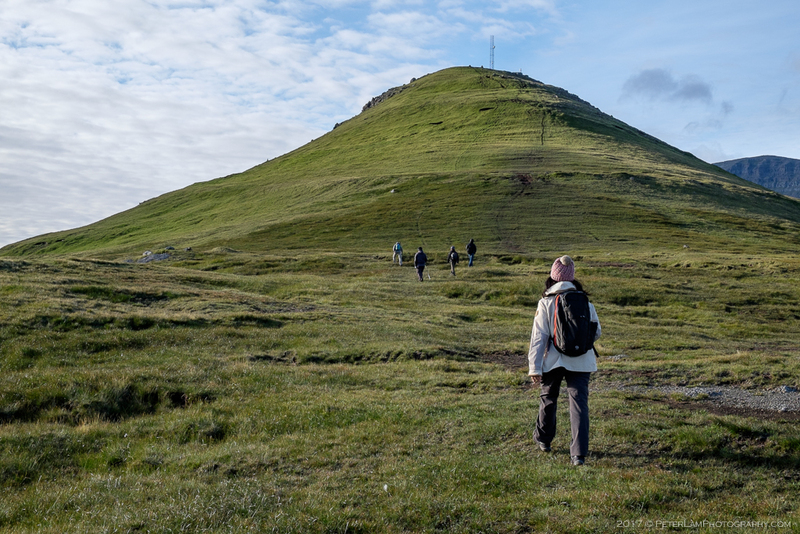 While you could walk from downtown to the peak, we chose to start the hike at Hálsur, a popular viewpoint and the saddle between Hálgafelli (546m) and Klakkur (414m) mountains. 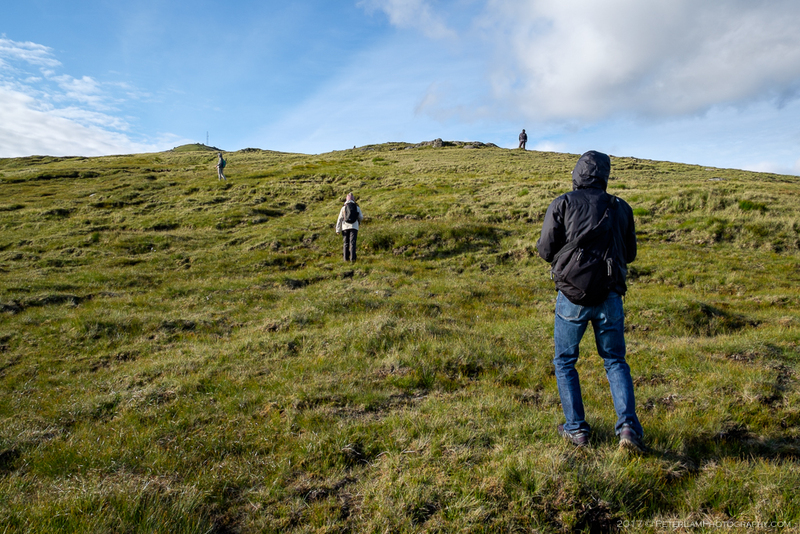 The trail is easy to follow on the grassy hillside, and becomes progressively steeper as you near the top, but nothing too challenging. The views from the peak are spectacular. 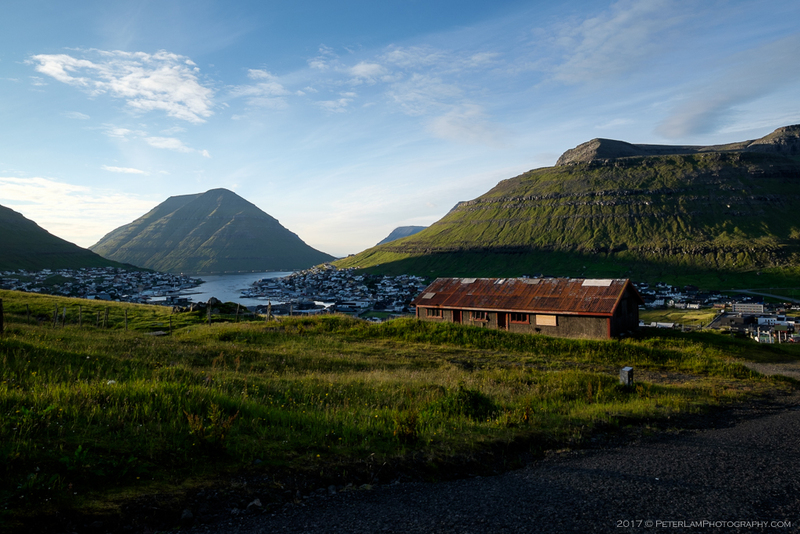 To the east, the town of Klaksvík is laid out before you, with its harbour and two inlets; to the north, the island of Kunoy rises majestically; to the west, the Kalsoy island which we would be exploring a few days later; and south, the impressive peak of Hálgafelli. 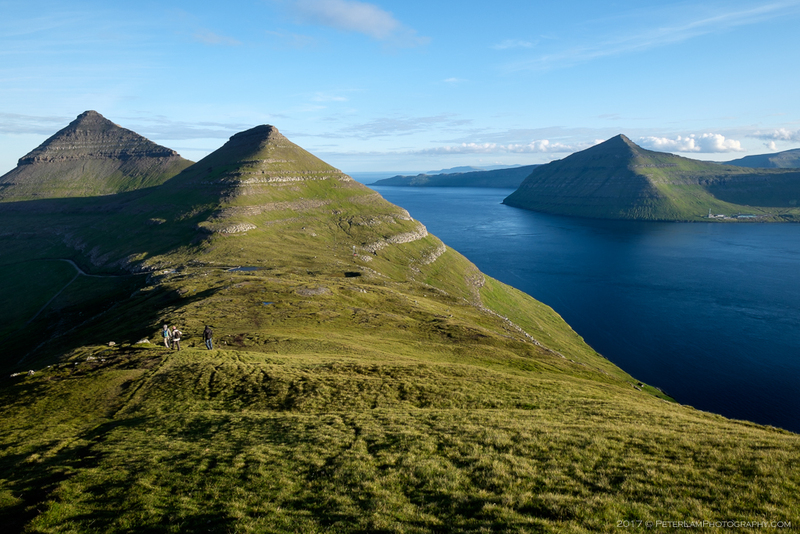 This is definitely a must-do hike if you are in the Klaksvík area – major rewards for little effort! Farmhouse on the gravel road to Hálsur. Starting our hike up the hill in the outfield. Small reservoir at the start of the trail. 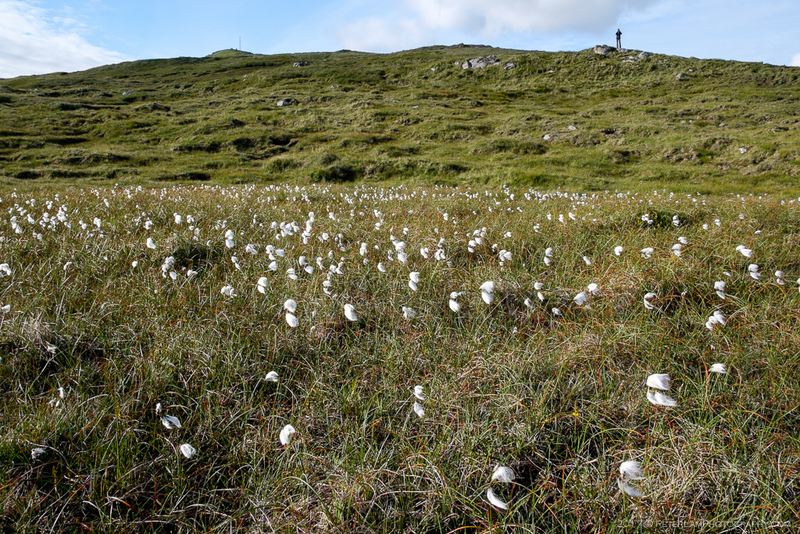 Not sure what these cotton-like plants are, but they are very common on the islands. Klakkur peak and the work before us is clear. Yvonne on the trail. 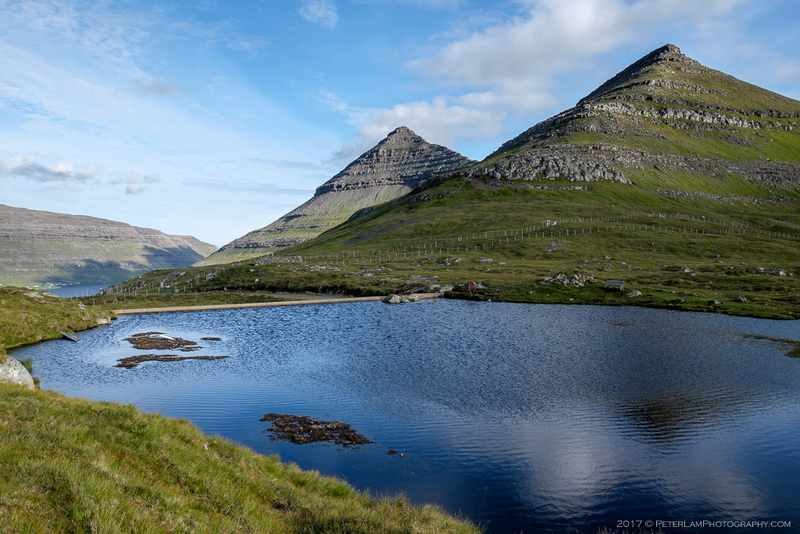 Behind are Hálgafelli and Háfjall peaks. 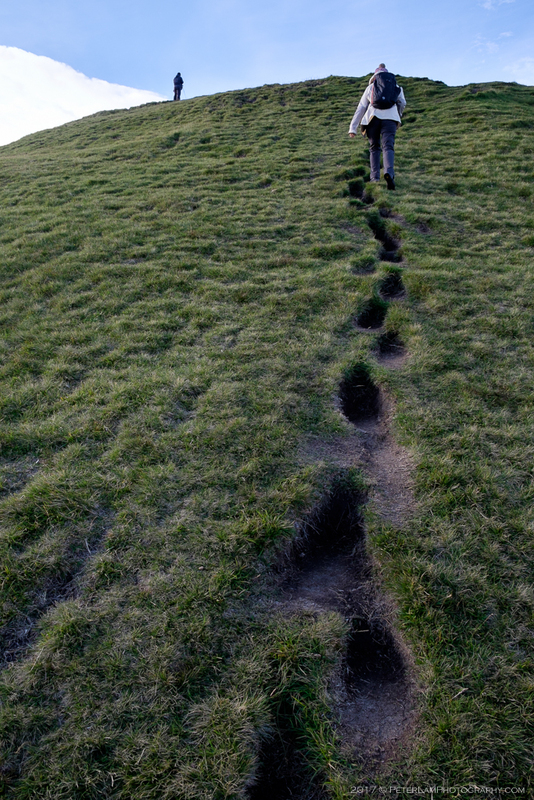 There is no officially marked trail but the path is easy to follow. Climbing further up the “staircase” on the hill. 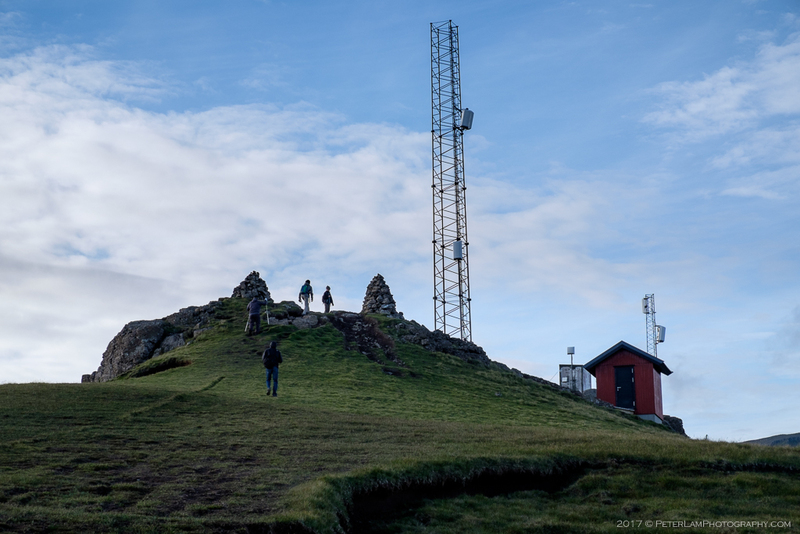 An antenna mast at the top of Klakkur. 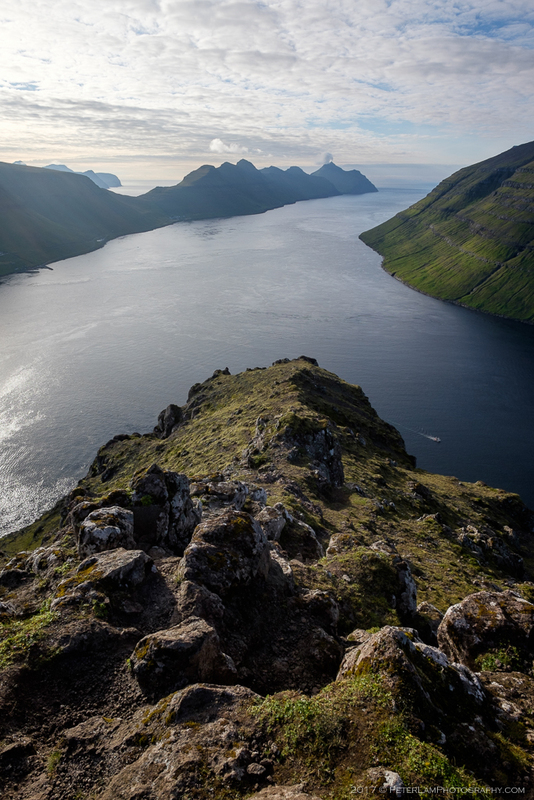 At the top, a view of Kalsoy island to the west. All of Klaksvík at our feet! 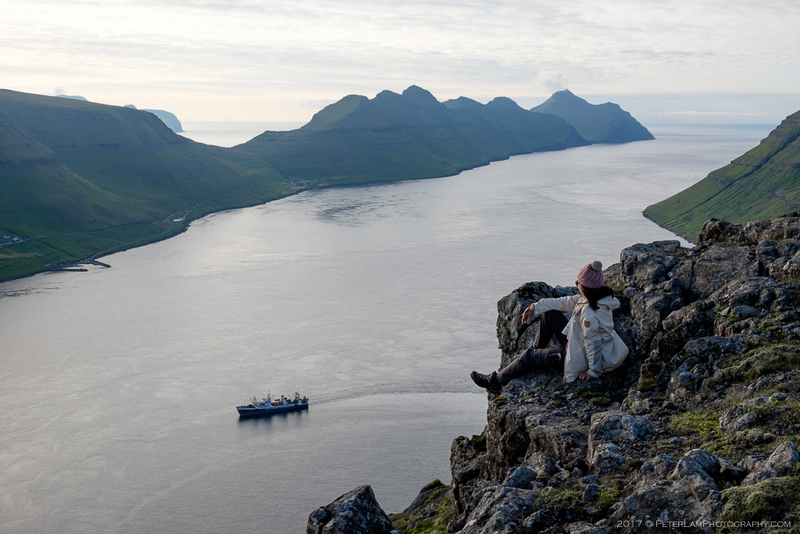 From the peak, you can see Syðradalur and Mikladalur villages on Kalsoy. The southern end of Kunoy island, and fish farms. 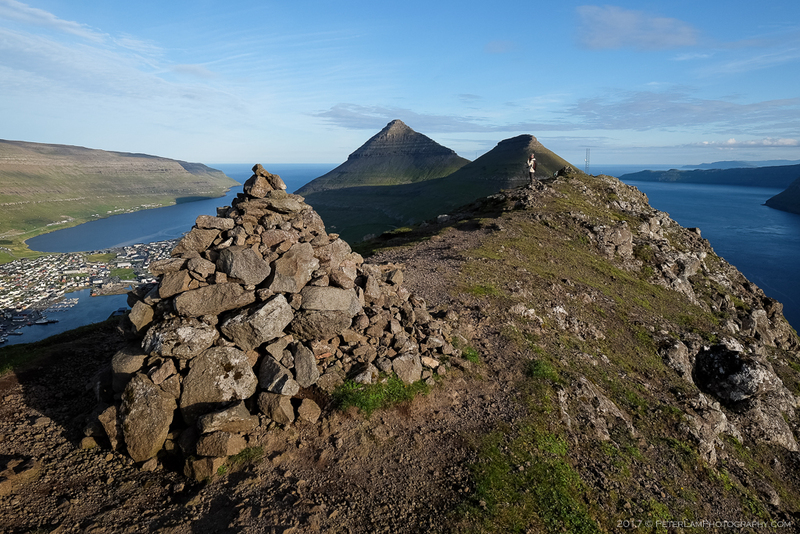 Cairns mark the peak at Klakkur. Heading back down the hill. 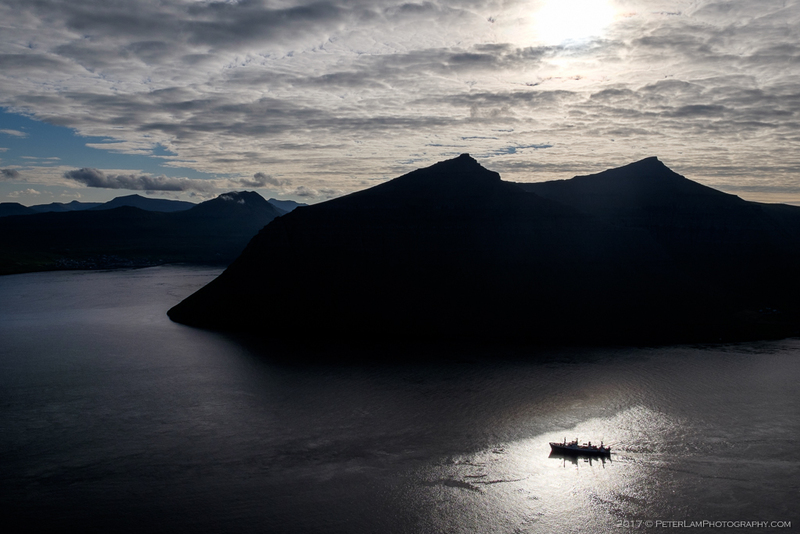 To the right, the village of Leirvík on Eysturoy island. 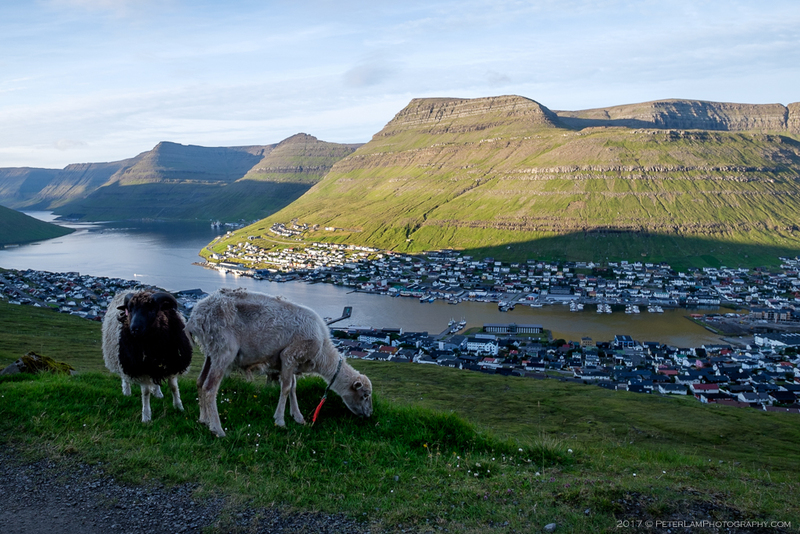 Friendly sheep greet us everywhere! Great photos! 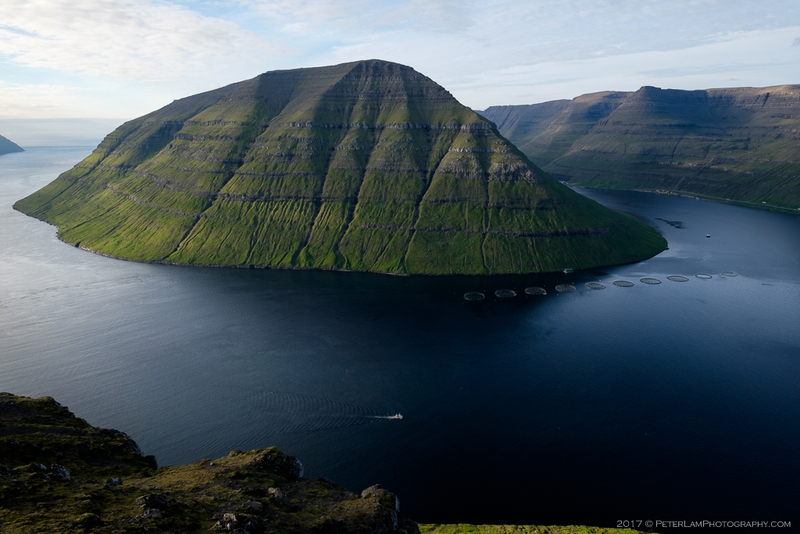 This makes me want to visit the Faroe Islands! Thanks Drew! I’ve been following your Iceland posts, looks like we were there around the same time, though my stay was only a few short days on transit to the Faeroes. 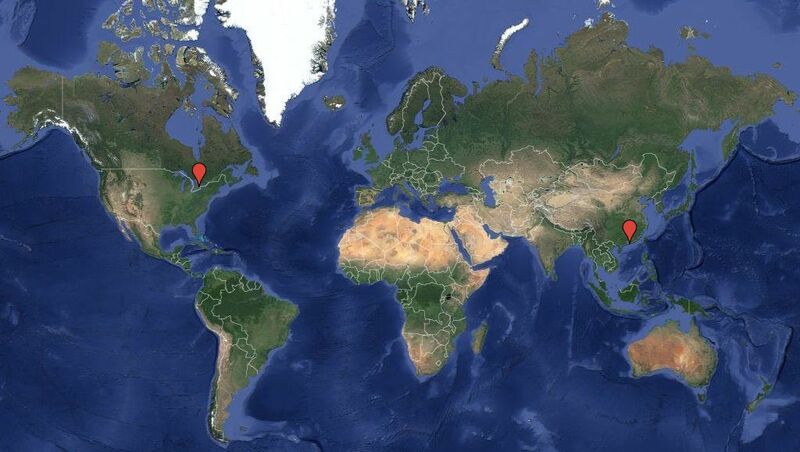 Really loving your pics.